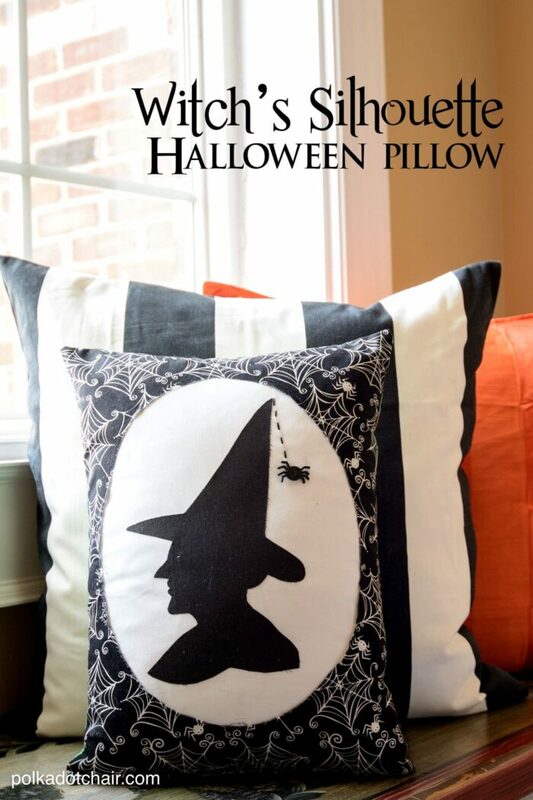 I hope you like this Witch’s Silhouette Halloween Pillow sewing tutorial. 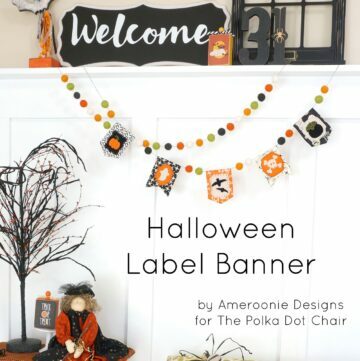 It would make a fun addition to your Halloween Decor this year! 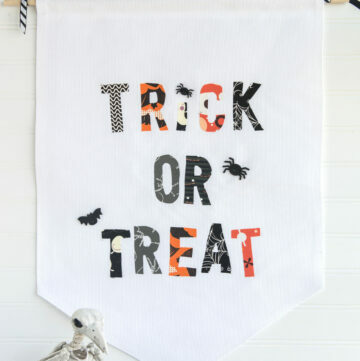 If you like this project you may also like this sewing pattern for a simple Halloween Table Runner. 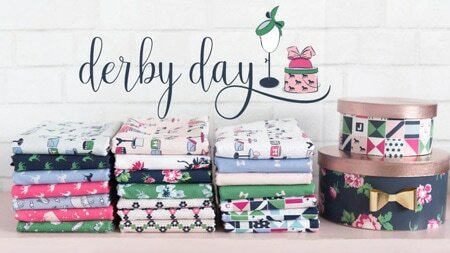 This month I’m very excited to be participating in the Sew Crazy Challenge with Amber over at Crazy Little Projects. For the challenge, I designed this simple Witches Silhouette Halloween pillow. 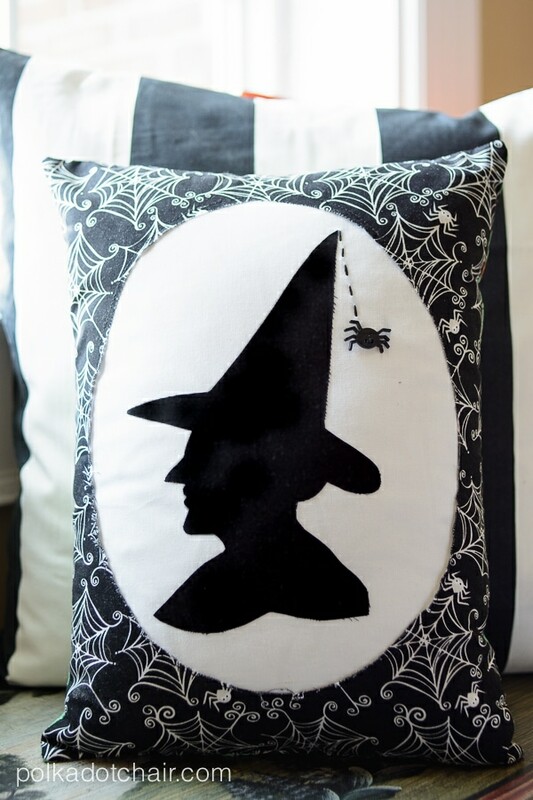 I love decorating with black and white at Halloween and thought that this would be a fun addition to my Ghastly Halloween pillows from a couple of years ago. 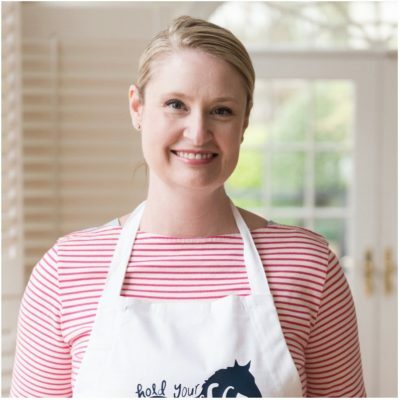 Okay, now are you ready to learn how to make the pillow? 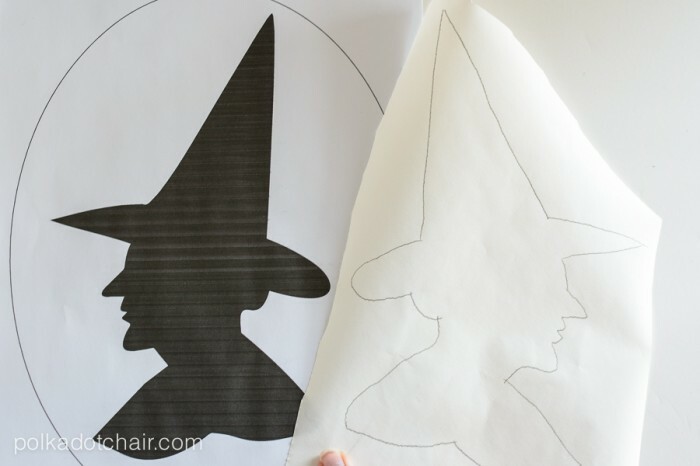 Print the pattern for the witch silhouette and oval from the Templates page. 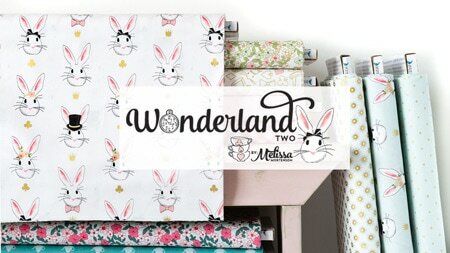 Turn the pattern piece upside down and place on a lightbox or bright window. Trace the reversed image onto the paper side of a piece of heat n bond lite. Cut out loosely around the image. Press the cut image to a piece of black fabric. 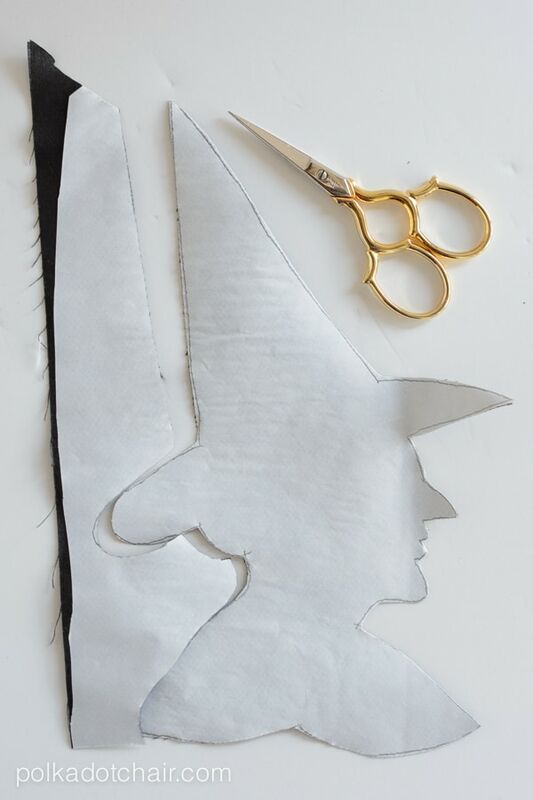 After it is fused to the fabric, cut out the witch silhouette carefully. Set aside. 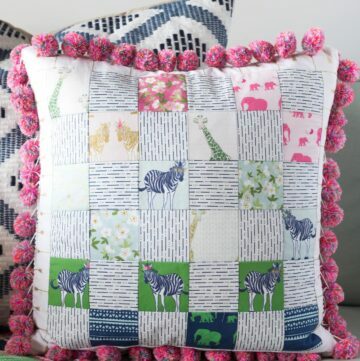 Cut your two fat quarters for the pillow front and back to 12″ x 16″. Cut out the oval from the printable pattern piece. 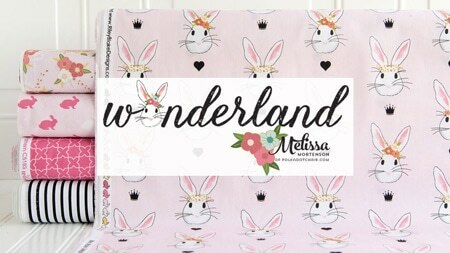 Lining up the centers of the oval and the centers of the 12″ x16″ fabric for the front of the pillow, trace the oval onto the fabric. Use a fabric safe pen. Cut out the oval from the center of the fabric. Cut your white fabric larger than the hole left in the pillow front fabric. Adhere the white fabric to the wrong side of the pillow front fabric using the fusible seam tape. 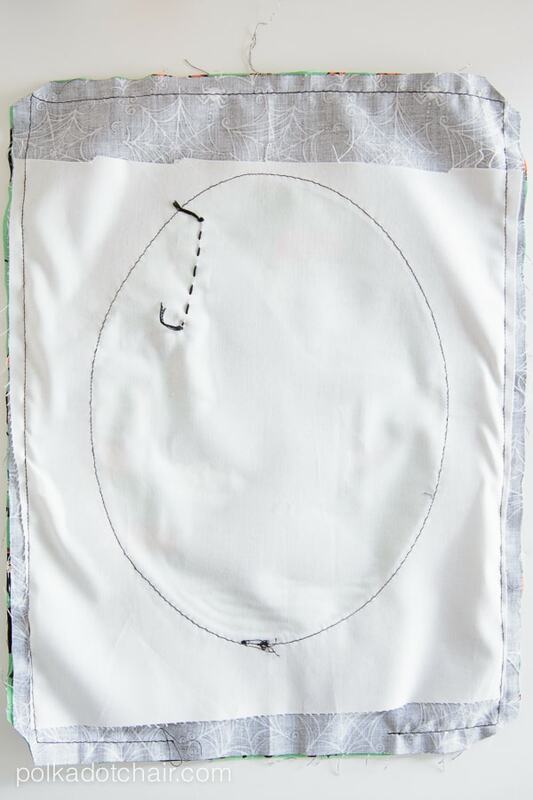 On your sewing machine, on the front of the pillow fabric piece, stitch around the edge of the cutout oval. 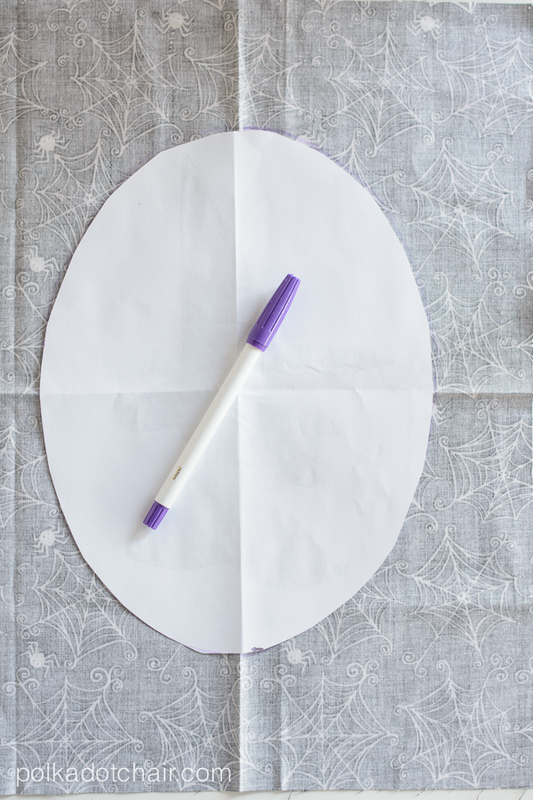 Remove the paper backing from the witch silhouette and position as you want on the oval on the front of the pillow. Press in place. 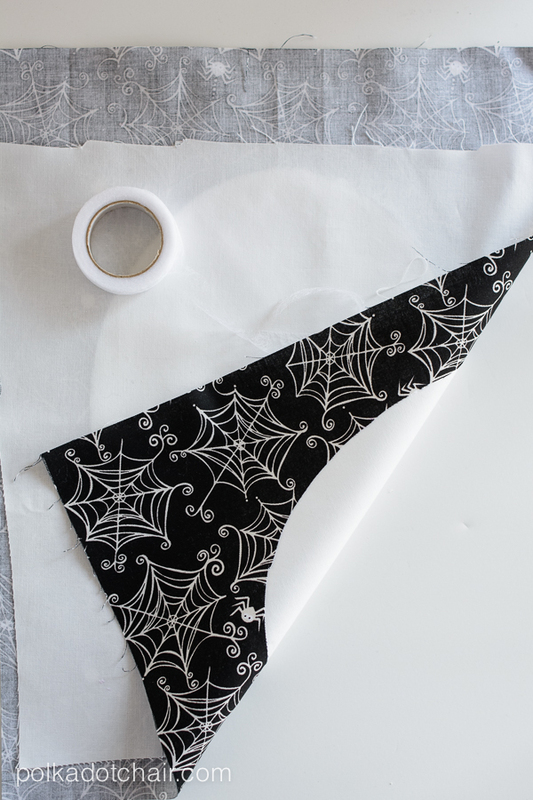 Draw a line with your fabric safe pen on the front of the pillow for your spider’s web. 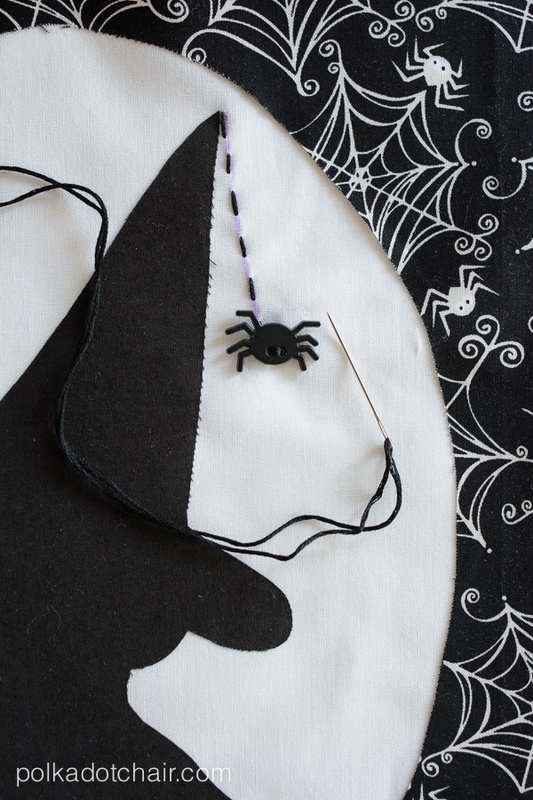 Using the black embroidery floss stitch over this line and sew the spider button at the bottom. Sew the pillow front and pillow back pieces together with right sides facing. 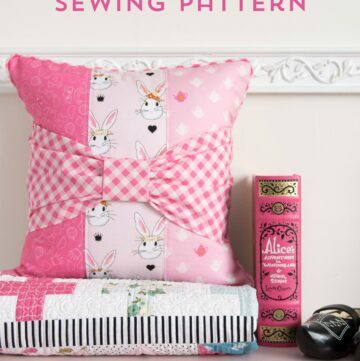 Stitch with a 1/2″ seam allowance. Leave a 6″ hole in the bottom of the pillow to turn it right side out. Clip corners and turn right side out. Slip into pillow form. Whip stitch opening closed. This is so cute. I have tried to download the silhouette but it says its an error or download has expired. It’s up and working now. Should be fixed now… try again. I’m having the same issue as Ann. This is absolutely on my to make list, Thank you for all your inspirations. It’s working.. refresh your browser and try again. Thanks for the quick fix. GOT IT!!! Thank you so much Anne! 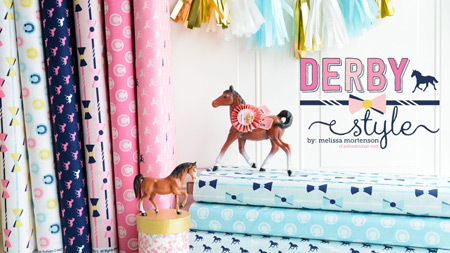 I appreciate the links to Craft Gossip so much! I think I am ready to declare this cute pillow my fav Halloween project of 2914. I love it!!! Thanks for fixing link. Got it printed this morning. Hope to get it made this weekend. Excellent pillow and tutorial! I had a lot of fun making this! Thank you very much! !